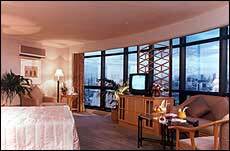 Grand China Princess occupies 18 Floors of a 25-storey tower of pleasing contemporary design. 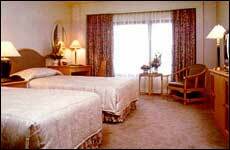 The hotel's 155 guestrooms, including 22 suites, are finely appointed with all modern comfort and amenities. 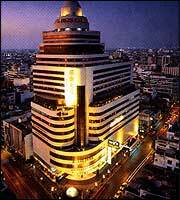 From the upper floors, there are panoramic views of the city and Chao Phraya River. Grand China Princess promises the gracious touch of a truly personalized service to ensure guest comfort. A revolving Club Lounge and Restaurant, overlooking the panoramic view of the city and Chao Phraya River, is an ideal place for dining, light snack and refreshing drinks. Live music every evening. The finest Eastern and Western dishes are available at the Coffee Shop, the only place in the heart of Chinatown where you can enjoy dining. - Aerobic Studio : Join the group for a healthy way to have fun. - Fitness Center : Great Membership offers, full range of gym equipment. - Traditional Thai Massage : Professional masseuse for soothing, relaxing experience. Located on the 8th and 10th Floor, the meeting and convention rooms can accommodate any event from small meetings to fully organized conferences and banquet for up to 350 persons. Special audiovisual presentation equipment is also available for supporting the events. - Bangkok Railway Station 1.5 km. - Wat Pho 2.0 km. - Wat Phrakaew & The Grand Palace 2.8 km. - Wat Arun 5.5 km. - Bangkok International Airport 22 km.